I have Loose Ends. You know what I mean. We all have them. 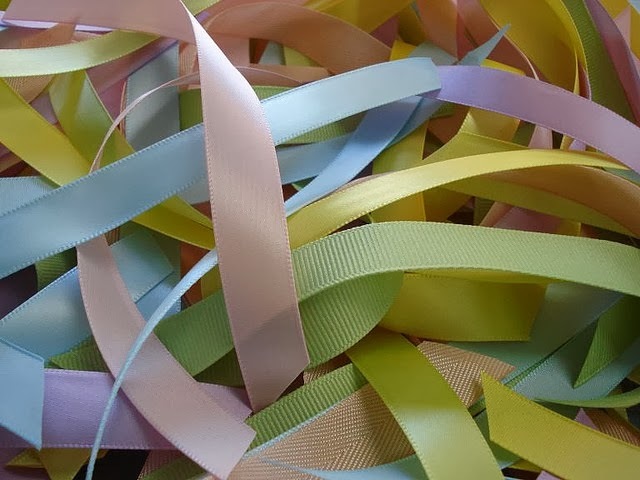 Unfinished projects and ideas, curling around in my brain like wavy ribbons, leaving me tangled and muddled. For example, in this past week alone, my clean laundry was stuck on my couch for days, not only because I had no time to actually fold it, but because for some reason we did not have enough empty hangers in the house to hang them up; the Christmas decoration bins had been brought up from the basement and ravaged by some unruly elves who decorated the bottom right half of the tree and left everything strewn about; AND I ended up at the gym for my workout WITHOUT my gym bag! If only this were an isolated thing, but it's not. I have found that December really gets crazy. For the last three weeks or more, I have been running from one thing to another and it seems like each thing takes 15 minutes more than I had budgeted for. So, that means the next thing is compressed and so on for the whole day. Am I alone in this frenzy? I think not. I have a busy life; four wonderful children, pets, parents, a business, and an amazing husband and partner to help me through it all, for which I am eternally grateful and appreciative (I hope I show it enough, Honey). But how do I really make it work? What can be done to cope with the pressures of December (or any period of time where things are really intense)? Look away until you have time to deal with it. When the laundry spills over in the family room I can simply leave it there. No, it's not ideal. Not at all easy for me to do, but a real solution. I just spread out the shirts on the back of the couch so they don't wrinkle and leave everything else in the basket. Of course, I will get back to it, just when I have time. Step back from non-essentials. We promised to bring egg rolls to a holiday party. My daughter wanted to make them but got sick at the last minute. Instead of making them myself, I called the Chinese restaurant and ordered them. Everyone loved them. Budget your time. Although I would love to help with the holiday play at church, since I joined the Christmas Eve choir this year, I can't do it. Do what my husband is constantly encouraging, which is to just Relax and Realize that even if it all doesn't get done, it's Good Enough.